The leaves have fallen and the Christmas tree is decked out, there’s either snow on the ground or just a bite to the air, the kids are bundled up in jackets and gloves while you frantically tie a scarf around your neck before opening the door… yup, it’s winter. The first day of winter actually; December 21st marks the first day of the cold season for 2016. 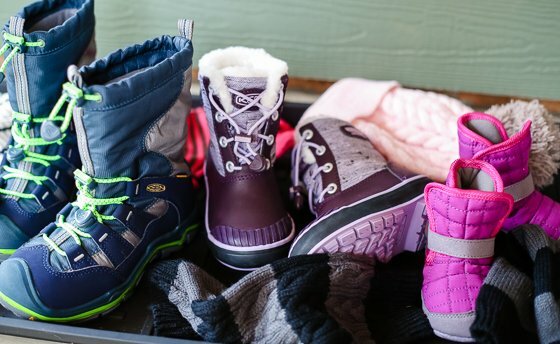 And what better way to ring in snowflakes and hot chocolate than with a post about one of our favorite brands, KEEN, and their bright, unique, and winter-ready boots for the little toes in your family! You may be dreading boot season, but unless you plan on escaping to the tropics for the next few months, it’s here, and it’s here for a while. 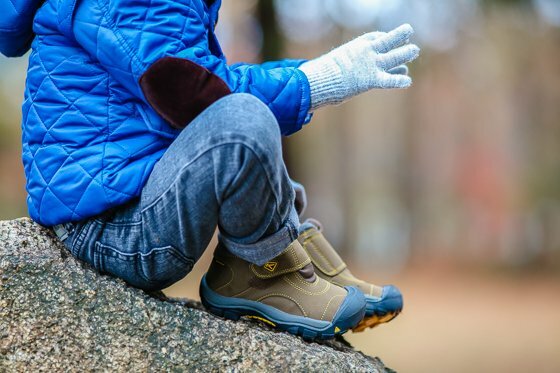 So go ahead and cheer yourself up by being extra prepared for whatever the weather throws at you this year, by making sure your kid’s feet are protected from the elements, toasty warm and dry, and of course, super stylish. We at Daily Mom are KEEN fans all the way. 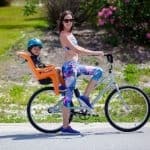 From their adult footwear down to their itty bitty shoes for brand new babies, from their summer shoes made out of bungee cords – say wha! – to their ultra tough steel toed work boots, we love it all. They are headquartered in Portland, Oregon and currently produce more than 20 styles in their Portland factory, using the best materials from around the world, with a goal to keep expanding production here in the US, keeping with the American spirit of supporting and loving on our economy. 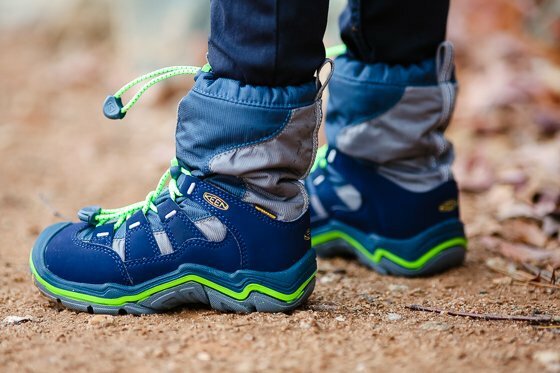 Being born from Portland back in 2003 gives KEEN a one up, as they are immersed in the outdoorsy lifestyle, surrounded by all things hiking, active, and natural, which allows them to see firsthand what needs their customers require in the shoes they wear. 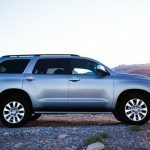 This in turn inspires them to create top quality items with innovative features that are above and beyond other brands. 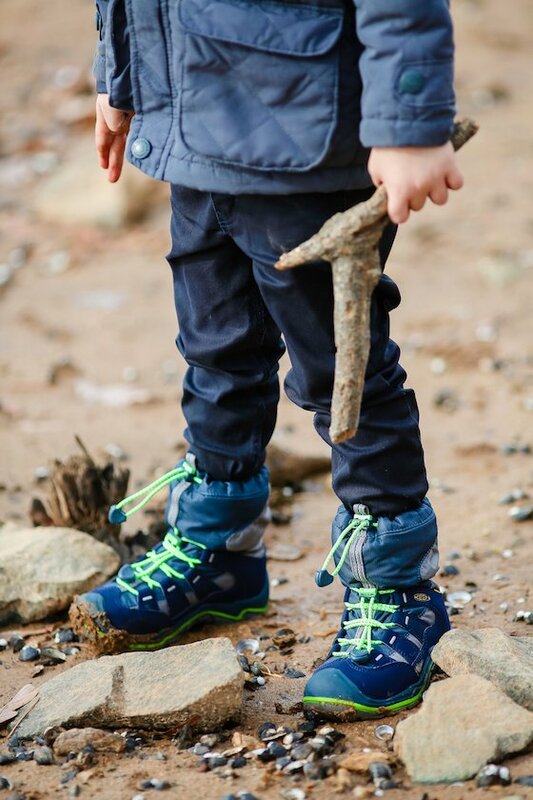 Especially when it comes to outdoor cold-weather footwear for yourself and your kids, you expect the best protection and insulation, and KEEN delivers, with their Hybrid.ology, which includes features such as CNX, Heat Trapolator, and KEEN.DCR. 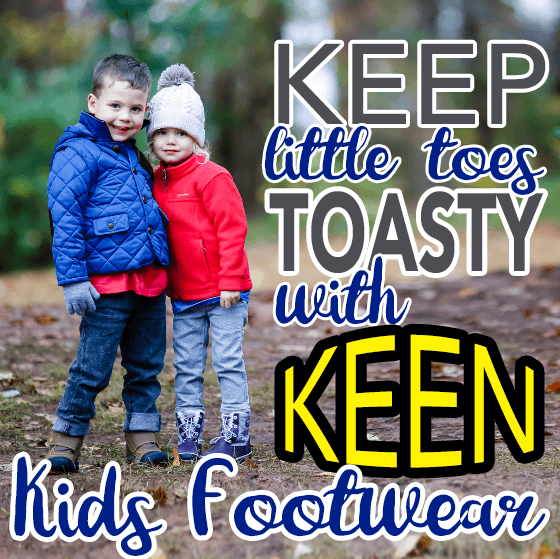 Now that you know KEEN is the place to be buying your kid’s winter boots this year, let’s run through their wide selection and see which ones you need to add to your cart! 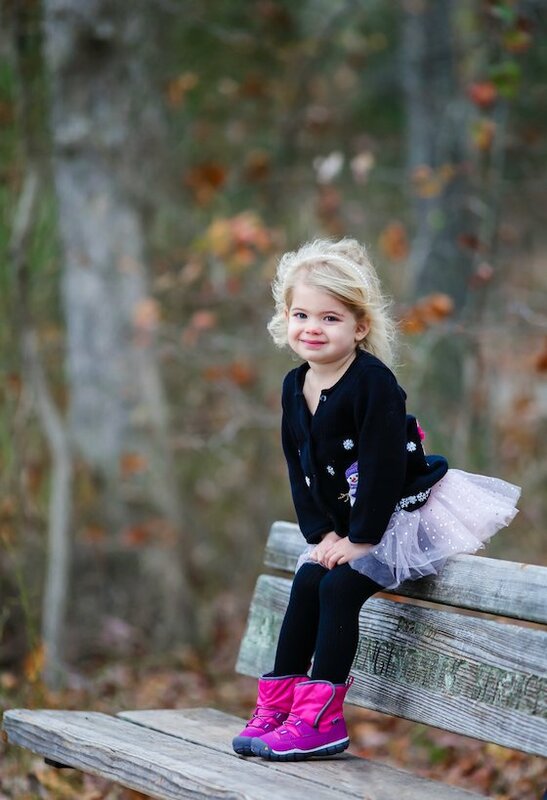 Older kids always go first, so we’ll start with the littles. 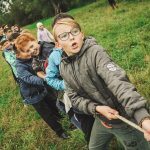 Even if they can’t gallop through the snow drifts, they still want a piece of the action this winter, even if that means simply sitting in a pile of snowflakes or huddled up against Mom in the Ergo grinning at their snow covered brothers and sisters. You still gotta keep those toes warm! 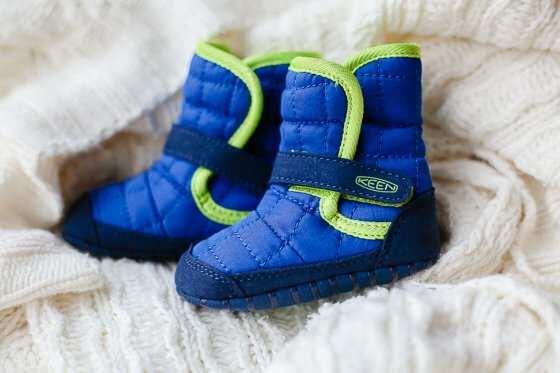 KEEN’s Baby Rover booties are perfect for the job of keeping tiny feet and ankles insulated and protected. In new colors for both boys and girls, baby’s “My First Boot” is so stinkin’ cute you may just need to hang on to them after winter is over for the memory box. Flexible outsole with rubber grip pad – for those who actually WANT to venture out on their own two feet! Is it just our kids or is the whole Frozen phenomena never going to end?! 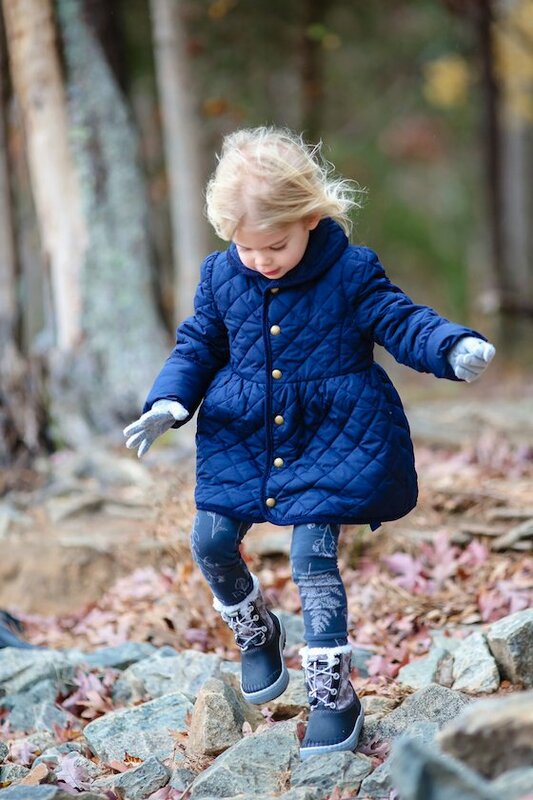 At least it helps in making our daughter wear her boots this year, as KEEN’s new Elsa Boot boasts the all-too famous name without – thank goodness – anything “Elsa” about it! 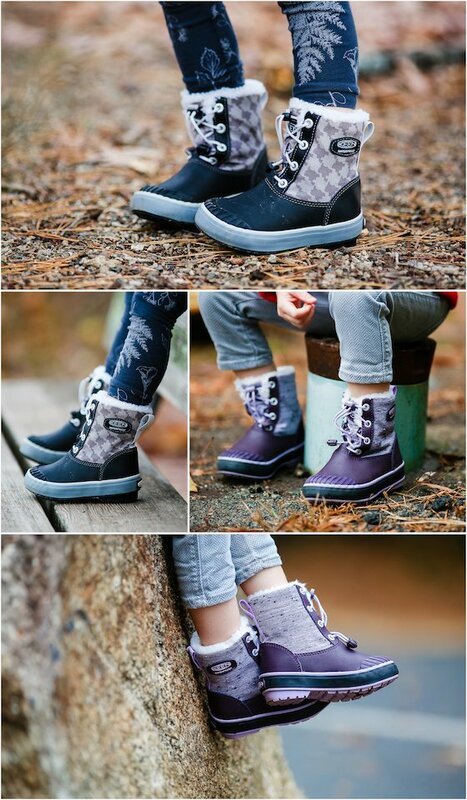 This waterproof, faux fur lined boot comes in a plethora of amazing colors that your little girl will love, and the easy bungee closure – which we absolutely LOVE in KEEN’s shoes – makes coming in and out of the cold all day long an independent activity – can we get an amen! 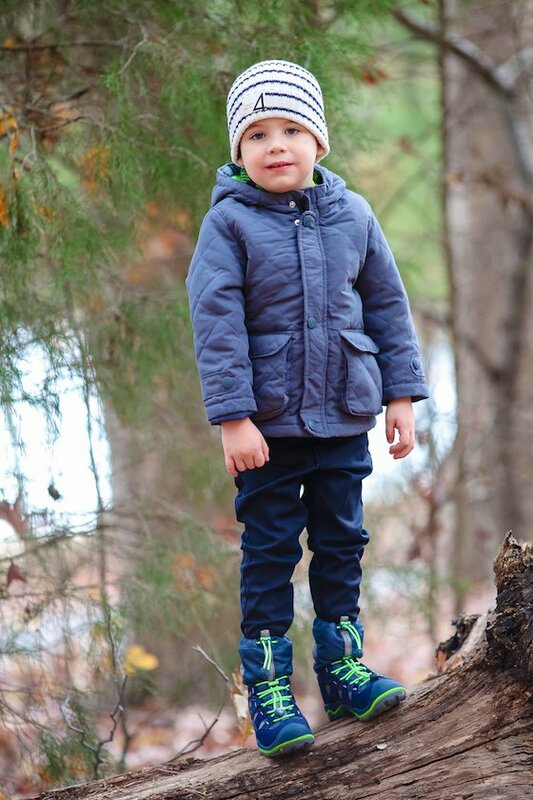 Meet the Mac Daddy of boy’s winter boots this year with KEEN’s Winterport II. This almost moon-bouncing-like shoe won’t let a lick of moisture near his precious, baby feet – he may be 9 years old, but his feet will always be your babies, waaaaaa! 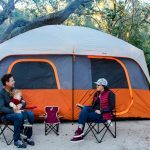 In girl, boy, and gender neutral colors, there’s a Winterport for every kid you need to outfit for Minnesota snowfalls or for North Carolina’s 20 degree days – hey, that’s cold for us! 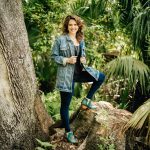 Featuring dual bungee laces for a custom, tight fit, and KEEN’s fabulous Hybrid.ologies, these boots are purely made for winter. When a sneaker and a boot get married, they become KEEN’S new Peek-a-Boot. 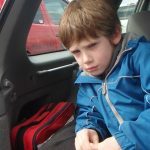 Even though our kiddo’s feet are way smaller than ours, sometimes it feels as though they are abnormally gigantic, usually when we’re trying to squeeze them into boots that just don’t have any give – ugh, the pain, for everyone involved! This boot takes the hassle out of hurried, blustery mornings and eliminates the tears from not being able to get outside fast enough. The two side panels feature hook and loop closures on each side that when pulled back, allow more than enough room for feet to enter. Phew! Not only that, but the Peek-a-Boot comes in three color options and is, of course, super warm for the season. 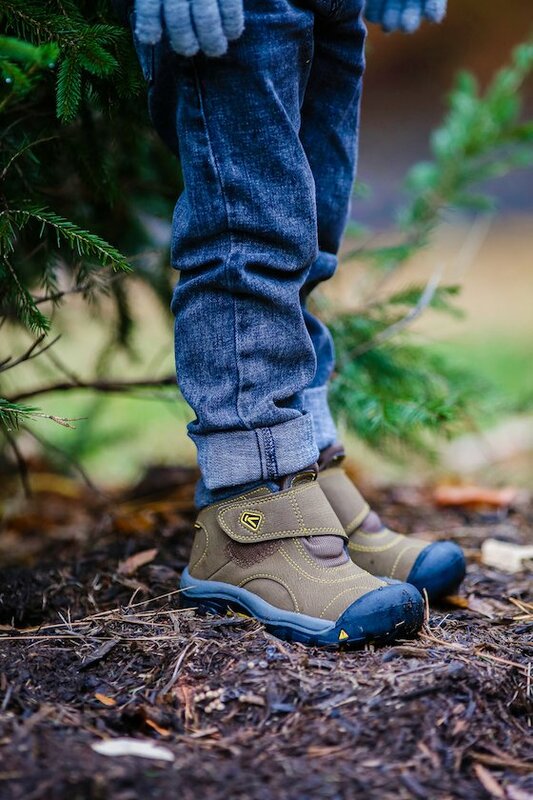 If you’re looking for a more refined style boot, but that still packs a winter punch, then KEEN’S Kootenay is for you. 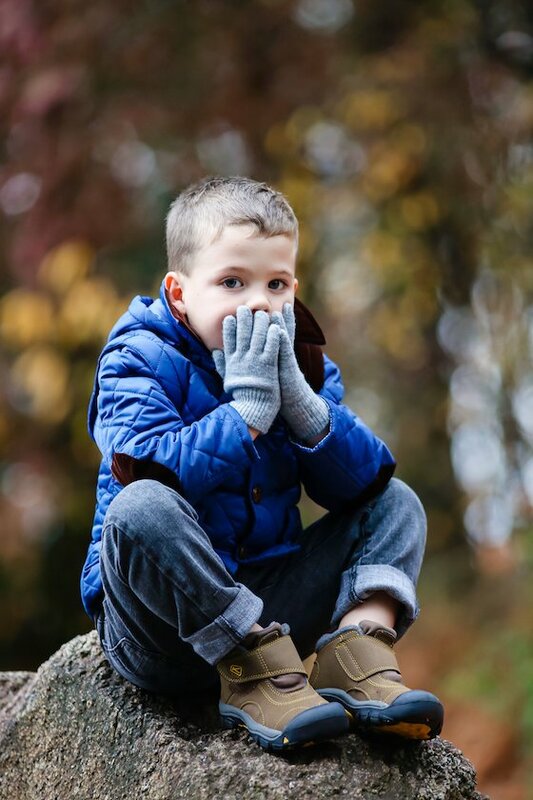 This ankle boot is completely waterproof and features a heavy duty sole for making ice and snow walking a bit less treacherous, so go ahead and brave the winter storm on church morning, all while still keeping your son looking sharp in his Sunday best. 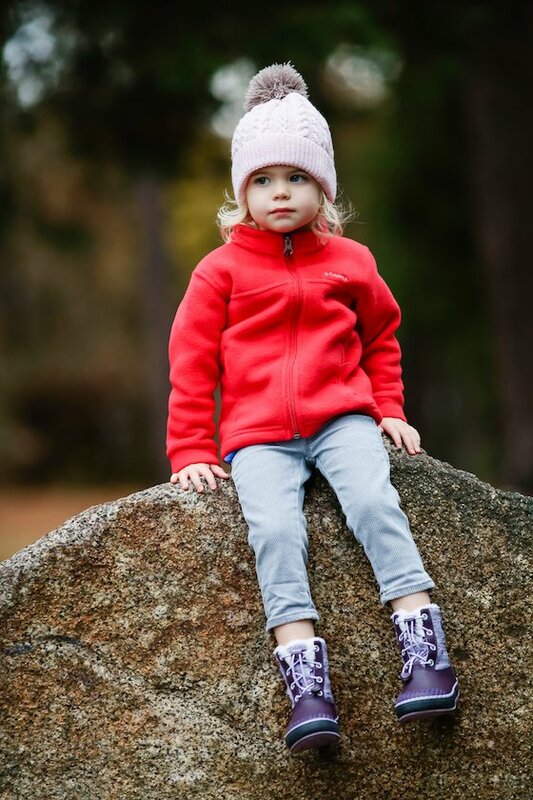 Grab a Kootenay in pink and purple for your daughter too, as there are several color options this style comes in. 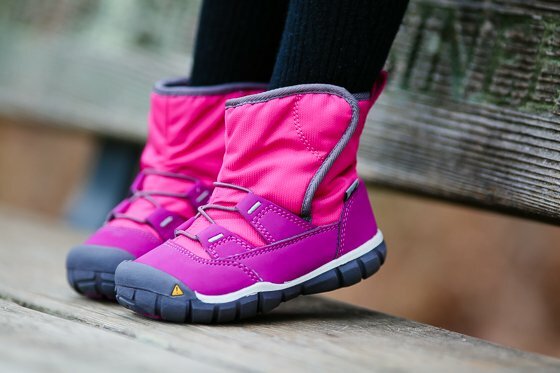 There you have it, your kid’s winter boot roundup from KEEN! 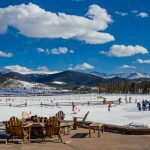 Make this season one of rosy cheeks, snowball fights, and family memories spent outside in nature’s playground, all while keeping little toes toasty warm. You’re good to go for the winter outdoors. But what about when the sun goes down, and you want to cozy up inside? Pull on some jammies of course! Check out Cozy Autumn & Winter Jammies from Skylar Luna for some of our favorite picks.